When it comes to oral cancer statistics, two numbers are key: 40% and 90%. Cancers that begin in the mouth (or oral cavity) are termed oral cancers. The oral cavity consists of the inside tissue of the mouth and cheeks, the lips, the tissue below the tongue, the roof of the mouth, and the front two-thirds of the tongue. “Why only two-thirds of the tongue?” you might ask. Because the back third of the tongue is considered part of the throat. Throat cancers, or oropharyngeal cancers, start in the oropharynx, the part of the mouth behind the parts considered part of the oral cavity. The oropharynx consists of the soft palate, the tonsils, and the throat. Some oral cancers cause symptoms which prompt the patient to see a doctor and others are discovered by dentists and doctors during exams. Thousands of lives could be saved every year if more men and women received regular screenings. Be proactive. Ask your dentist or doctor to complete an oral cancer screening during each exam or physical. 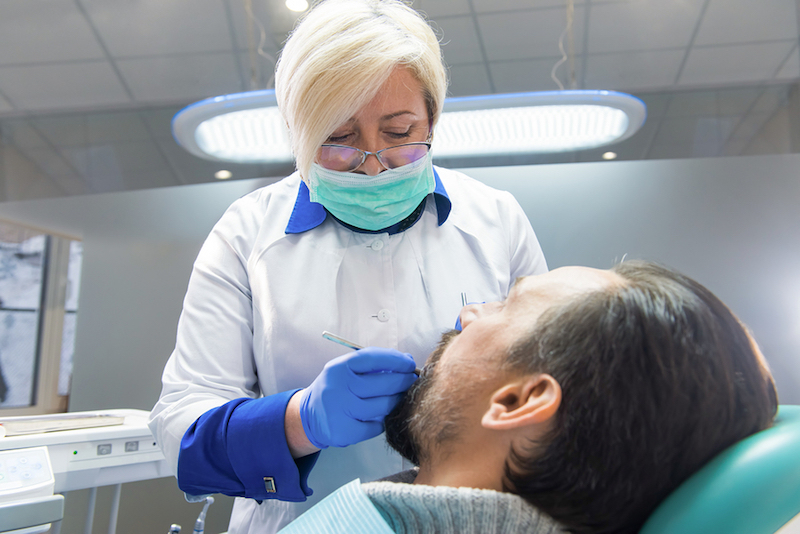 If you have one or more risk factors, it’s important to speak with your health care provider for advice on oral cancer screenings and prevention. To schedule a dental oral cancer exam and checkup, I invite you to call 702-852-2829.